A question that I get asked almost on a weekly basis is “What exactly is the difference between Salesforce.com Vs Force.com?”, in this article I hope to explain in clear terms what the exact difference is and how and you can utilise each of these for different purposes. To properly explain the difference between these two products it’s best to roll back a few chapters and understand what Salesforce.com actually is in terms of the Cloud Industry. Salesforce is a SaaS product which as you can see from the diagram below stands for Software-as-a-Service. This concept is a fundamental of cloud computing and is the means of taking software off of your computer and into the cloud! Dropbox, Google Apps and GoToMeeting are all examples of Saas products. However, we have a couple of other cloud products. Force.com is a PaaS product, which stands for Platform-as-a- Service. This concept is not an out of the box product like GoToMeeting , instead it contains an application or Framework for you to build Apps onto (Can you see where I’m going with this?!). Lastly we have IaaS which stands for Infrastructure-as-a-Service. This doesn’t concern us too much as what this usually means is that you are renting a physical server somewhere in a warehouse from Rackspace for example. 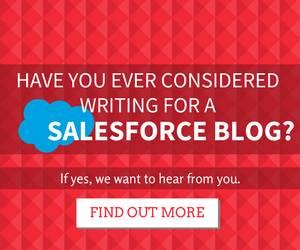 What makes Salesforce.com SaaS and what makes Force.com PaaS? Just like GoToMeeting or Google Apps, Salesforce.com is an out of the box solution with their three core products, Sales Cloud, Service Cloud and Marketing Cloud. 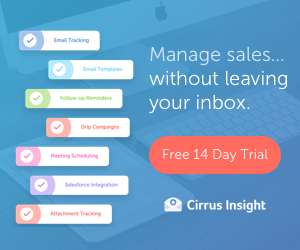 You could go out and buy the Sales Cloud today and starting logging leads, opportunities, running reports etc. As some of you very well know, these Force.com features are all available in Salesforce.com right? Well this is because Salesforce.com is built on the Force.com platform seamlessly. When you purchase Salesforce.com Licenses for Sales Cloud, you get all of your normal tabs (Leads, Accounts etc) plus the ability to customise the whole platform using Force.com! This is one of the reasons why Salesforce make such an effort to create a distinction between Standard and Custom objects in their Certifications as they are two very different kettles of fish of which both have limitations and interact with each other very differently. So when you are building Custom Objects and adding in Workflows, Approval Processes etc, this is all using Force.com. This is the exact same way that AppExchange partners design apps. They create them on the Force.com platform, possibly using external web services and then package them up ready for you to download! There you have it! Those are the differences between Salesforce.com vs Force.com. Let me know if you have any helpful additions to this post or any further questions that I will do my best to answer. Einstein Chatbots – Build Your Own Automated Salesforce Robot! Nicely explained. So if someone wants to start learning Salesforce from implementation team point of view ( not as end user) then learning SAAS – may be admin certification would be the initiation point? Correct or not? Exactly. Adm is a very good place to start. Nice article. My confusion comes when Salesforce reports their revenue between Sales Cloud, Service Cloud, Salesforce1 platform and other, and Marketing Cloud but doesn’t mention any ‘Salesforce’ or SaaS revenue. How is the revenue split between SaaS and PaaS? Any clarity would be helpful. Thanks for your comment. I’m not too sure about the specifics but these are all Salesforce products so I presume this will all be grouped under revenue. Thanks Ben, that is a well written and very clear explanation. Thanks for that. If you are in South East Asia/China, you can buy the ‘Sales Cloud’ which has been ‘redeveloped’ by partners on the force.com platform for the cost of the platform itself. As a Jr. Consultant and experienced Admin, I have tried (at least on 3 occasions) to talk to SF about Force.com, since I had (at that time) a bunch of leads that where very interested in creating a custom app using Force.com. To my dismay, every single SF sales agent said no. They should either go for the Pro Edition or Enterprise. In my experience, Force.com is like a Pink Unicorn: it looks amazing, but it doesnt exist. Do you know why SF fails to truly offer this part of their platform (its cheaper and is attractive for SMB’s)? 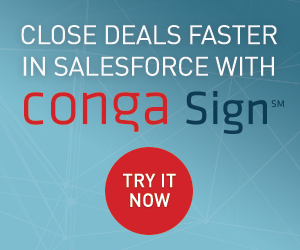 The reason that Salesforce sales people might have been less inclined to offer you Force.com is that its a lot cheaper and therefore less commission for them. However, if they have a need for Sales cloud and custom applications then Enterprise is the best option. Great post, and thanks for the pricing link. I want to build my own crm on force.com, very specific to my clients industry needs, could i resell those packages while the client only deals with me, not salesforce? Nice post Ben – thanks! I appreciate the effort it takes to make sense out of some of these somewhat confusing names. I would like to get a license for someone on our marketing team. They have no use for the crm side of salesforce, but we have started storing all of our tradeshow information in salesforce using both objects and custom objects. Would a force.com license be the correct one to obtain for them? Thanks! Thank you for the explanation, now I understand the differences between each other, I still have a question though. Why would I purchase force.com license if salesforce.com offers the same features? is it to restrict access to particular users to the set up menu options? if so, can’t I use profiles to restric access instead of purchasing different licenses? Force.com licenses are a lot cheaper than Salesforce.com, as they do not include an advanced functionality like quotes, opportunity management, forecasting extra. Force.com just comes with Accounts, Contacts and other basic objects, you are really meant to build your own application within Force.com. You can indeed grant different licenses to different users. I am a user of Force.com but have access to opportunity, quote and other objects. You said only accounts and contacts are standard do do we need to pay extra for these objects?